Why Internet Radio? 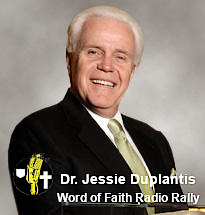 Because even though you may have “bouncing” from web site to web site to hear the Word of Faith Message, now you can “lock in” on WOFR.org and listen to major Word of Faith ministries that will feed your faith and starve your doubts! People can now listen to Internet Radio over a Wi-Fi connection and their laptop computers, or smartphones, and tablets, almost anywhere! Services like Clearwire and Cell Phone 3G and 4G Broadband Connectivity allow users to connect and listen, even outside in their yards, at restaurants, or on the go! Catch the vision for Word of Faith Internet Radio! Spread the word! Tell people about WOFR.org! The best advertising is “Word of Mouth!” You have probably heard that before. Well, it is true! You can tell your friends, send e-mails to your mailing list and contacts, and let folks know that this great opportunity to hear the Word of God exists!